Soo Co-op Credit Union is offering educational scholarships for the 2019-2020 academic year. Three (3) scholarships will be awarded in the amount of $2,500.00 each and one (1) scholarship will be awarded in the amount of $1,500.00 to a Bay Mills Community College student. Students must be a member in good standing of Soo Co-op Credit Union. Note: You must be a primary member or a dependent of a member for at least two years. Student must be enrolled, or will be enrolled as a full time student, in an accredited college, university, or trade school. Student must maintain a minimum GPA of 2.75. Students must attend college, university, or trade school during the school year listed on the scholarship application. Applicants must submit an essay on the following topic: "My Goals, My Dreams, and How I Plan to Achieve Them". Essays are to be limited to 300 words. Students who have previously received a Nick Gerrish Scholarship may re-apply. Must be postmarked or submitted by June 1, 2019. Each award will be paid directly to the college, university, or trade school and credited in the recipient's name. (One half of the scholarship will be distributed per semester). 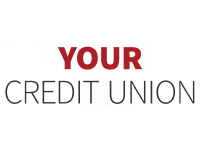 Failure to maintain your status at school (including termination from school, dropping out of school or transferring to another college, university or trade school) will result in the cancelation of the award and any remaining funds will be returned to the credit union. In some cases the funds will be redistributed to an alternate applicant. Please contact the Member Education Department at (906) 632-5314. ALL APPLICATIONS BECOME THE PROPERTY OF SOO CO-OP CREDIT UNION UPON RECEIPT AND WILL BE DESTROYED FOLLOWING THE APPLICANT REVIEW AND SELECTION PROCESS.